In my last post I mentioned how much I appreciated the intellectual integrity of Penn Jillette for saying that he respects Christians who share their faith and evangelize, because if you really believe the gospel, then the only appropriate response is to share it with others. Today I’d like to address the opposite approach: a very common and yet completely contradictory set of beliefs about the meaning and value of life. Do you catch what he’s saying? He’s essentially saying that ethics are useful to society, but that they really have no basis in reality. In other words: ethics help society function, but in a view of the world in which there is no God who created you, ethics are completely baseless. To put it simply: if there is no God who created you, there is absolutely no rational reason for saying that you are any more important than a stick. And you really have no original thoughts or creativity. Everything you do is programed, nothing is uncaused. You are just a hunk of matter, and therefore your life is utterly insignificant. And yet, Pinker is saying that in spite of this, we should live as if human life is special and we as human beings are valuable, because it is helpful to the functioning of society, even if it isn’t true. Here’s the point: an atheistic/humanistic worldview is incredibly conflicted. 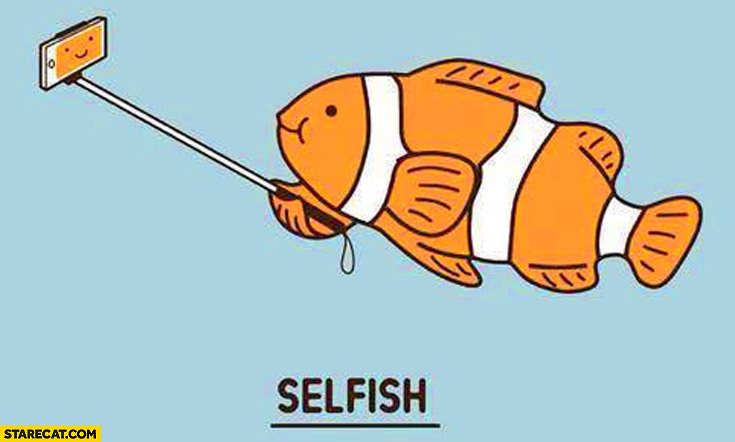 On the one hand, modern Western society is obsessed with self-esteem. Our schools put a huge focus on telling kids that they are unique and valuable. We affirm that every life has innate value. And yet, at the same time we have a secular worldview which says that if there is no God, you still have to live as if human beings are significant, even though in reality they are not at all. In other words, if your origin is insignificant and your destiny in insignificant, then the conclusion is that your life and everyone else’s life is insignificant. However, at the same time we are told to believe that we must pretend that it is. That’s not intellectual integrity, that’s intellectual schizophrenia. Atheism has an inherent problem with human rights: on the one hand our modern Western culture believes in individual human rights, and yet on the other hand, there is a push for an existential and eschatological narrative which undermines the very foundation for believing in equal individual human rights. I have written more on this subject here: Atheism and Human Rights: An Inherent Problem. Christianity, on the other hand, tells us that human beings were created by God, in His image, and therefore our lives have innate value and purpose – even if there is nothing that we can contribute to society, such as in the case of handicapped individuals. Furthermore, the message of the gospel is that the lord of the universe left His heavenly throne and came to the Earth in order to save us by giving His life in order to redeem us — which means that you and your life have more value than you can even comprehend. Modern Western culture has held onto the belief in individual value and human rights, something which has its basis in Christian doctrine and theology, while trying to eschew Christian doctrine and theology in the areas of origin, existence and destiny. Ethics depend on origin. If you believe that human life has equal and inherent value, please remember where that idea comes from: the Word of God. Does Forgiveness Simply Mean Suppressing Your Feelings? In reading through some material for a class I’m taking on Christian ethics, I ran across an interesting discussion of the ethic of forgiveness, related to Jesus as Priest (part of that being that one role of priests in the Old Testament is that they were mediators of forgiveness between God and humans). Christian ethics has much to share with – as well as to learn from – the survivors of sexual abuse and domestic violence. A problem for both is that forgiveness is too often confused with passive acceptance of wrong, or the suppression of hurt and anger. The supposed virtue of self-control, and the ideal of self-sacrifice or martyrdom, can lead women to believe that in accepting abuse and exploitation they are doing what Christianity, especially in its support for family values, requires. For neither, however, does forgiveness properly equate with sweeping wrong aside. Rather, it has regard for the specifics of a person’s situation and never trivializes any suffering endured. Anything less is what Bonhoeffer calls ‘cheap grace’, because there is no recognition of guilt and no call for genuine repentance. I recently spoke about this very thing at White Fields Church – on the oft-missunderstood topic of ‘turning the other cheek’ and what that means, because it has often been taken to mean allowing people to walk all over you or permitting people to abuse you. I don’t believe that’s what it means – and I explained that in detail in a study titled “Loving Your Enemies” – the audio of which can be found here. How Does Marriage Affect Violence Against Women and Children? This article in the Washington Post this week showed that statistically, women and children in married families suffer far less domestic violence than those in other situations. 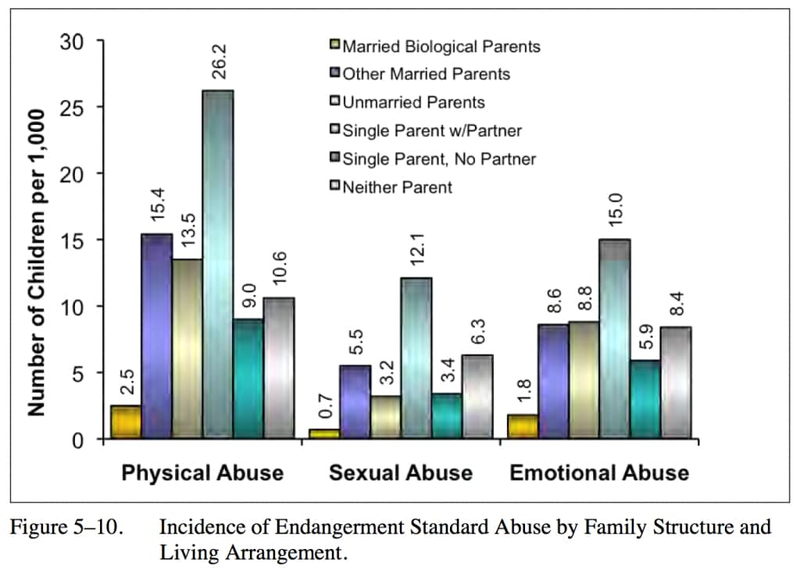 Married women are notably safer than their unmarried peers, and girls raised in a home with their married father are markedly less likely to be abused or assaulted than children living without their own father. As Christians, one of the best things we can do for society is to uphold and promote strong biblical ethics. On my way home from church on Sunday I saw a Facebook message saying that the pastor of the largest church in the movement I’ve long been associated with had resigned due to moral failure. I hate hearing this kind of stuff. Over the last several days I have seen tons of posts on social media from other pastors about this pastor’s fall. I understand that they want to address what’s going on. I understand that they are upset and want to talk about it. I’m not sure if we should be posting that kind of news everywhere though. At what point is it just gossip? Gossip is still gossip if you present it as a “prayer request”. Isn’t it spreading sensational news about someone else’s junk that really has no bearing on us personally? I opened the CNN app on my iPad on Monday, only to see an article on the front page about this pastor’s moral failure and resignation. Great – more fuel for those who are always looking for fodder against Christianity and the Church. I’m upset that someone in that man’s position would risk his legacy, his family and the reputation of the Church of Jesus Christ for some fleeting moments of pleasure. I am sad for his wife and kids who have to go through all of this in the public eye. I am concerned for that church, and pray that the people who attend there will have the maturity to walk through this process as a body, faithful to the heart and will of God. I am glad to see that high moral standards are upheld, and exceptions aren’t made for someone because they are gifted, talented and popular. Personally, I loved listening to that man teach. He is truly a gifted communicator. I heard someone put it this way: “David kills Goliath no matter how you read the story, but some teachers are able to make the story come alive – whereas other teachers make you wish someone would hit you in the head with a stone and put you out of your misery.” This man is a great teacher. But I am glad that his skill and celebrity were not used as an excuse for making an exception to the rules for him when it comes to moral standards for those who will serve as leaders in the God’s church. This situation is one more sober warning for Christians, and especially for those of us in leadership and ministry, that we must watch over our hearts with all dilligence, because it is from the overflow of our hearts that our actions proceed.